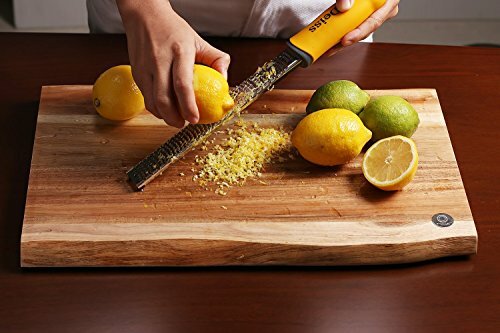 COMFORTABLE TO USE & BUILT TO LAST ★ The Grater-Zester has a razor-sharp stainless steel blade that won’t rust and a comfortable, non-slip handle. 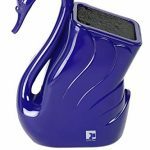 Its unique curved sides make it extremely rigid and allow you to apply more force when it’s needed. 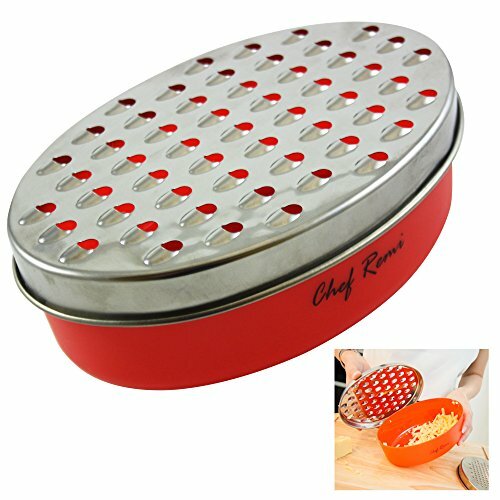 SAVE SPACE IN THE KITCHEN ★ Replace your bulky, unsafe, and hard-to-clean box grater or heavy electric food processor with a single Deiss Grater-Slicer. 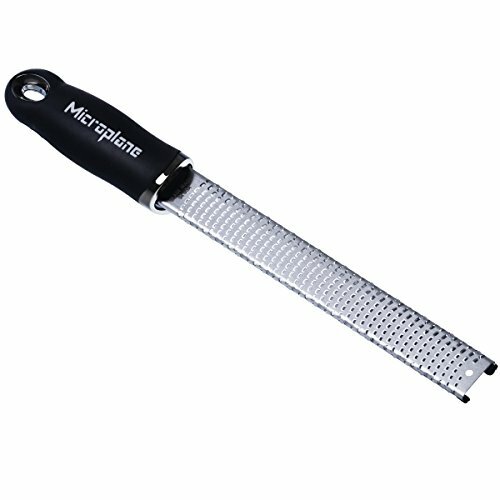 The metal grater’s teeth won’t clog up the way other graters do, so it’s a snap to clean. Just pass it under running water. IMPROVE YOUR COOKING ★ Amaze your friends with new, restaurant-like recipes. Add strong new flavours with freshly zested ingredients without any bitter pith taste. 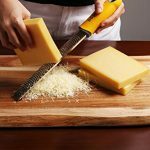 When using the grater with hard cheeses such as parmesan, you’ll get a nice pile of cheese that melts almost instantly on hot pasta. The most time-consuming part of cooking recipes that require zest is carefully peeling off the white pith inside the peel. Pith is very bitter and can ruin your recipe. 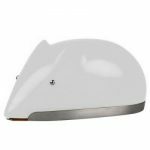 Unlike an old fashioned mandoline or julienne peeler, the Deiss Shredder-Zester gives you zest in 30 seconds – and doesn’t even touch the pith! You end up with perfect tiny zest curls – effortlessly. Discover gourmet tastes in well-known and favorite dishes by adding freshly grated spice like ginger. 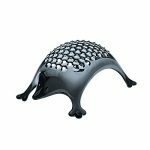 So why wait to create new fruit dishes or fine vegetable salad – get your professional Deiss Grater-Zester today! A Universal Tool That Makes Daily Cooking Easy! Parmesan on your table will taste better than ever! 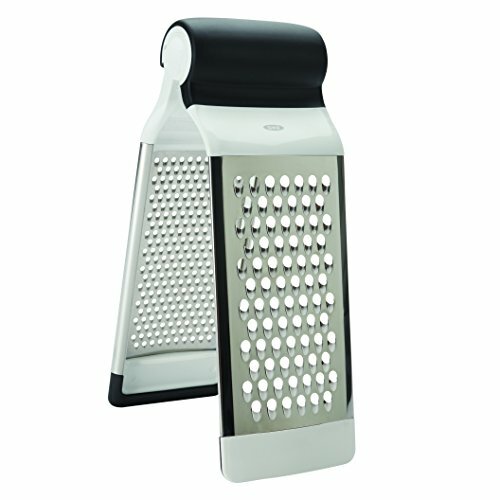 Hard cheeses are a snap to grate as well – particularly if you like a finer shredding than most traditional box graters with container can produce. 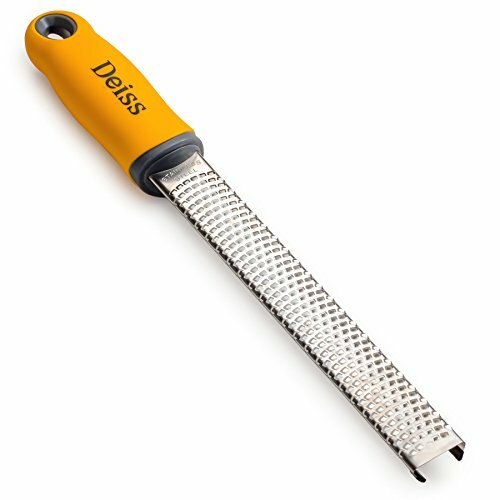 The Deiss handheld cheesegrater produces tiny, ribbon-like curls, not hard little granules. 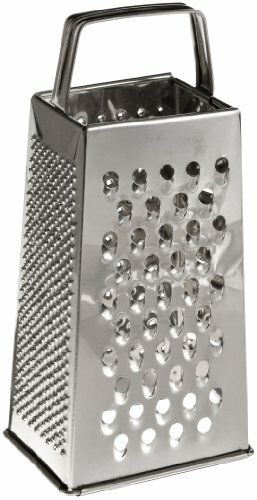 Because of its unique shape, the grated cheese melts almost instantly in your plate. The Deiss Zester-Grater’s sharp grating edges allows you to zest and grate almost anything – coconut, potato, cabbage, apple, lemon, lime, orange, onion, papaya, nutmeg, cinnamon, garlic, carrot, chocolate, etc. Deiss Kitchenware provides a lifetime guarantee on all its product series. Scroll up, click “Add to cart” and start your taste revolution! 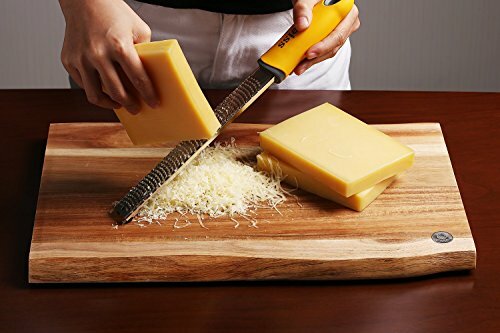 ZESTING & GRATING HAVE NEVER BEEN SO SIMPLE ★ Shear the hardest cheese into grated fluff using almost no pressure. 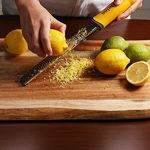 Simply zip the cutter-knife across the rinds of oranges, lemons and limes. In seconds, you can have finely grated garlic or ginger or treat yourself to a favorite dessert topped with fluffy chocolate flakes. Save 33% with this coupon. Enter code 5N8M8UBV at checkout.